She develops a close rapport with one of her clients, Luke (Peter O'Brien), an enigmatic American art dealer, who books her on a regular basis. For a time she manages to keep her two lives in separate compartments. DVD now available for purchase online. 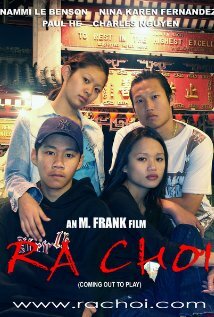 Set in the Sydney suburbs, Ra Choi (directed by M. Frank) is the story of four street kids down on their luck and trying to make a life for themselves. It's a moving and emotional journey where the strength of the human spirit is often the only hope they have in their intertwined lives. Each is on a path of discovery, fighting for a level of existence that most of us take for granted; a roof over their head, a warm meal, new clothes, a job. Every city has its heartbreaking stories and these young lives hit levels of desperation that we pray no one ever has to reach.